Whoo Hoo … Finished Chesapeake WAY better than I expected to so I have mailed my entry to the Cheshire Ride for the end of April. I’m exciting. I am hoping to have a great competing season this year. 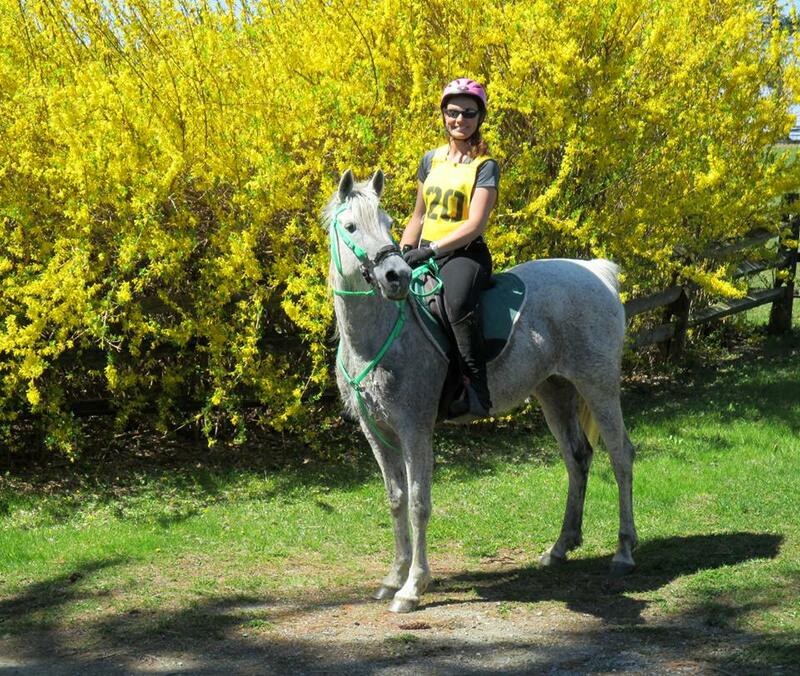 I am hoping to have someone to ride Steel and get her started in this sport, she missed out on Chesapeake, which was probably a good thing as the ride was mostly on gravel roadways and she is a barefooted competitor. AND THEY’RE OFF! Start of the Cheshire. 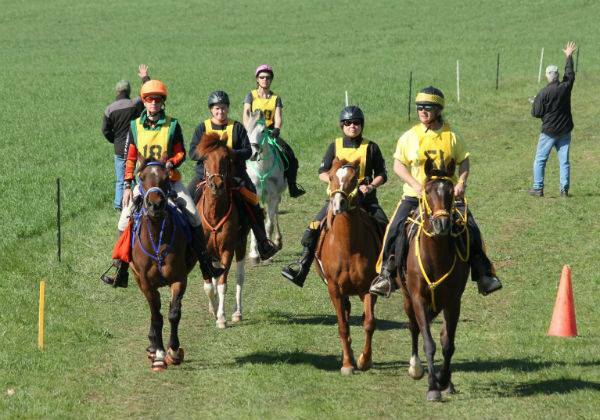 (left to right) Cindy on Bailey, Cheryl on Sooner, Dom on Steel, Adrienne on Zayna and me on Miss Daizy. See, Steel did get a rider. THANK YOU to Dom for taking such very good care of her at the ride. And thank you, Cheryl, for taking such lovely pictures of them both on the ride. Steel completed the CDR in 5th place. Miss Daizy completed the CTR in 2nd Place.